The Breakout in Normandy, July, 1944 was initially an attempt to change the somewhat static situation for the Allied forces in Normandy. 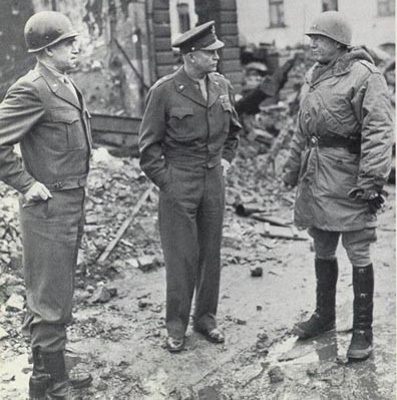 The growing and massive German resistance in the american sector created the urgent demand to punch a hole in the German lines, and keep it open long enough for Allied motorized and armoured units to outflank the German forces. Operation Cobra was launched by the Allied on July 25 upon massive aerial bombing of the German lines. The German counterattack, Operation Lüttich was launched on August 7 to repel the Allied breakthrough. 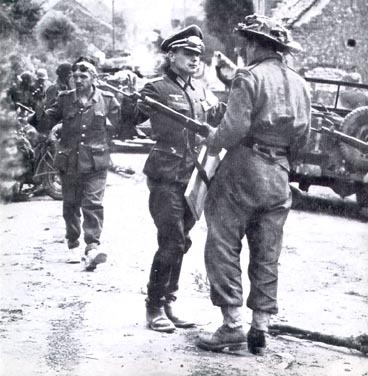 The failed German counter operation, escalated into a large scale disaster for the retreating German forces, being trapped into the Falaise pocket during the period, August 11 - 19: The total annihilation of the German Seventh Army. The liberation of Pairs took place on August 25, 1944. 2. Panzer Division surrenders at St. Lambert-sur-Dives.